Luxembourg/Paris, 11 September 2017 – SES announced today the beginning of a new era in global cloud-scale connectivity and high power data services with the launch of O3b mPOWER, a revolutionary and powerful networks system that will deliver efficient high-performance network communications to users all around the world. 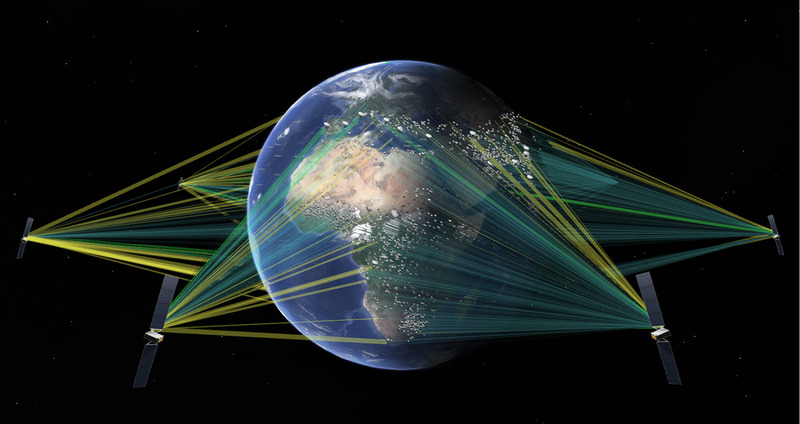 SES has contracted its first O3b mPOWER technology partner, Boeing Satellite Systems, to build seven super-powered medium earth orbit (MEO) satellites. The constellation will have 30,000 fully-shapeable and steerable beams that can be shifted and switched in real time to align with customers’ quickly changing growth opportunities, making it the most bandwidth-efficient system ever. O3b mPOWER will provide unrivalled coverage to an area of nearly 400 million square kilometres, four fifths of the Earth’s surface.